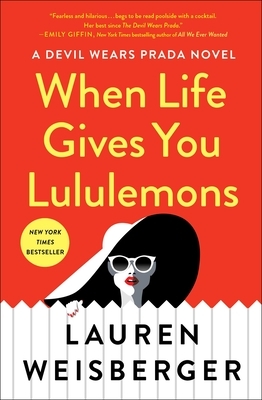 Lauren Weisberger is the New York Times bestselling author of When Life Gives You Lululemons, The Singles Game, and The Devil Wears Prada, which was published in forty languages and made into a major motion picture starring Meryl Streep and Anne Hathaway. It was announced in 2017 that musician Elton John and Paul Rudnick will adapt The Devil Wears Prada for the stage. Weisberger’s four other novels, Everyone Worth Knowing, Chasing Harry Winston, Last Night at Chateau Marmont, and Revenge Wears Prada, were all top-ten New York Times bestsellers. Her books have sold more than thirteen million copies worldwide. A graduate of Cornell University, she lives in Connecticut with her husband and two children. Visit LaurenWeisberger.com to learn more.